Just a few photos I've taken this summer! Things Needed: Plain iPhone case of any color choice (got mine from H&M for 5 euros), a Pencil, Scissors (preferably sharper than these), and a large Flexible Diamond Sticker. 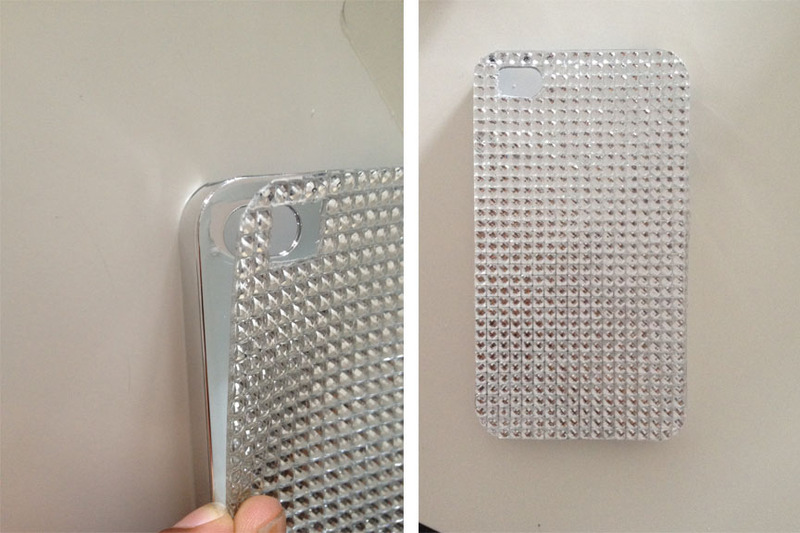 First off, you want to flip over both the Flexible Diamond Sticker & The iPhone cover, placing the cover on the edge of the Sticker so that it's one side less to cut. 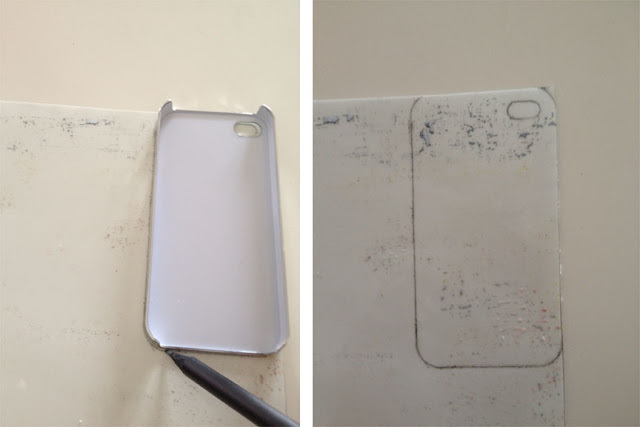 Secondly, you want to trace the outline of the iPhone cover using the Pencil (this step met be very accurate and precise)! 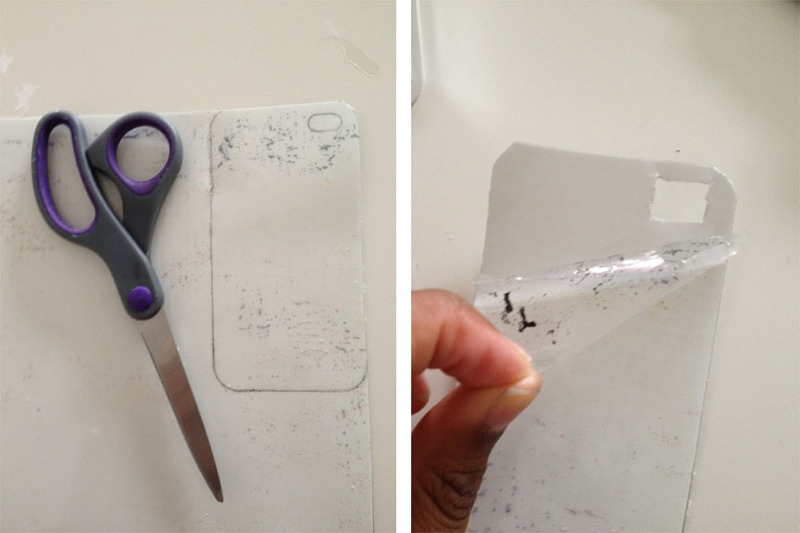 You then need to cut it out and take off the sticker-protector (is that what it's called? haha i actually don't know). 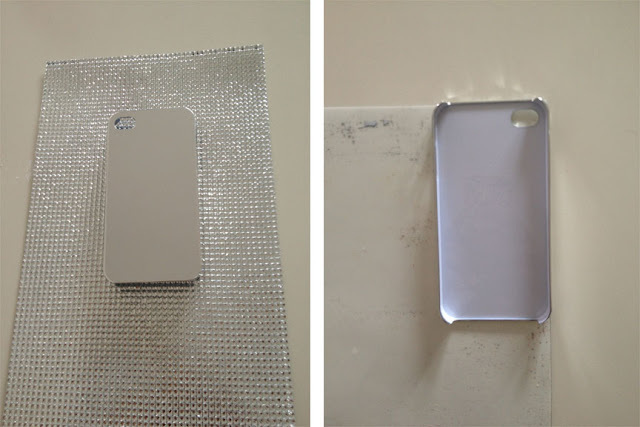 Last but not least, stick the sticker on the case et voilá, you got yourself a super cute very affordable and easy-to-make blingy iPhone case! 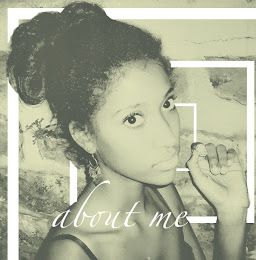 yaaay, I really enjoyed making this. Once again, its quite inexpensive - I mean the case itself cost 5 euro and the flexible diamond sticker cost 7,25 euro so thats a total of 12,25! I still have a lot of the sticker left so I'm thinking of going out to buy some more plain cases at H&M as they are selling them in stores now. I'm gonna experiment with different styles and would love to maybe even sell them in the near future! Going a bit too far with the whole selling thing? haha. Anyways, hope you might try this & if you do, tell me how it turned out! Things Needed: Plain iPhone case (bought this in H&M for 5 Euro),Nail-art Brush, Black nail polish, Gold nail polish, and A small piece of a sponge. 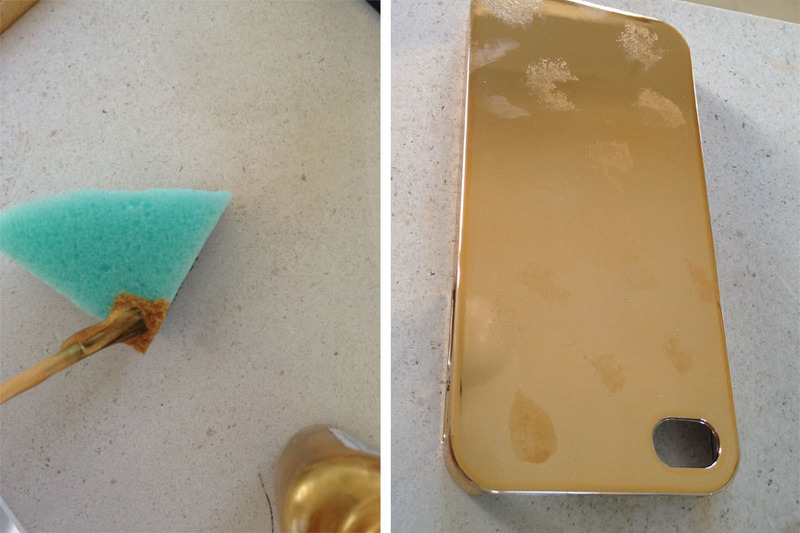 First thing you want to do is let the Gold nail polish sink into the surface of the sponge a bit. Then you wanna dab the gold onto wherever you please in circular and half circular shapes on your iPhone case to give a few of the leopard prints a shimmery effect in the middle later on. Using the Black nail polish & Nail-art Brush, draw around half of the border of the golden dotted shapes you've just created. 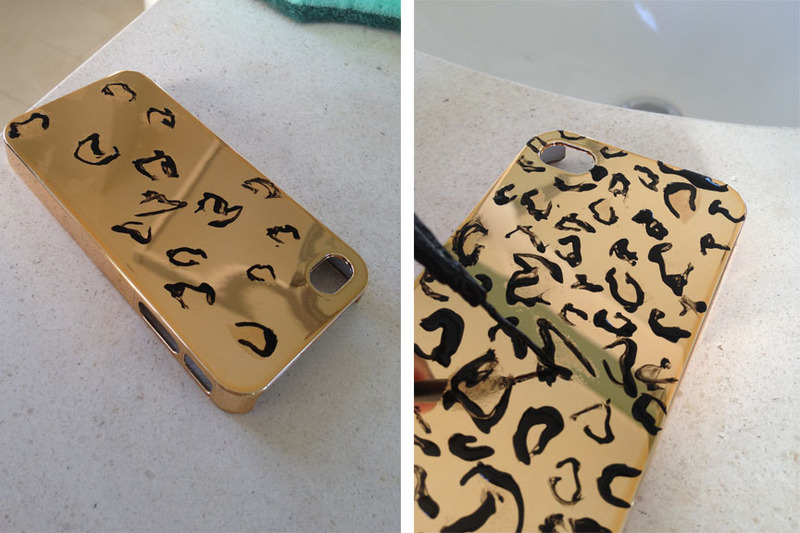 That will also help you get the feel of the type of pattern the leopard print has. Continue doing so with different sizes until you feel it's completed. Et Violá! This is how mine turned out. As you may have noticed, I left the sides untouched Just because I feel it would be a bit too much for my own personal preference. I'm very happy with this project as it basically only cost me 5 euros since I'd had the nail polish and brush laying around already & the outcome is pretty cute! 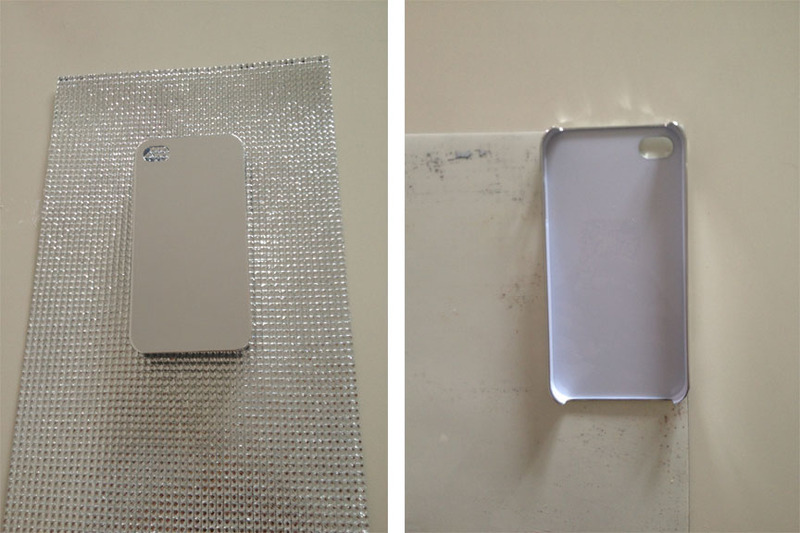 I have some other DIY iPhone case ideas up my sleeve so stay tuned in for that! Tell me what you thought of it & if you're going to try it out! I found out I'll be living in Luxembourg for yet another year so I want to make the best out of it and that includes having a pretty room haha. This was originally my sisters' room and I somehow convinced her to switch with me since I liked the lighting better and the bathroom is connected to the actual bedroom. It was originally light blue so I painted it white a few days ago (my arms are still hurting like crazy because I did all 4 walls myself in just one day- I was very impatient)! 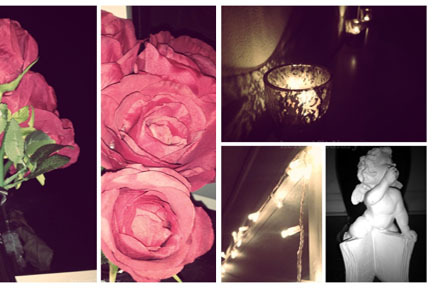 For my 16th Birthday, one of my presents was money so that I could buy a few things for my room. 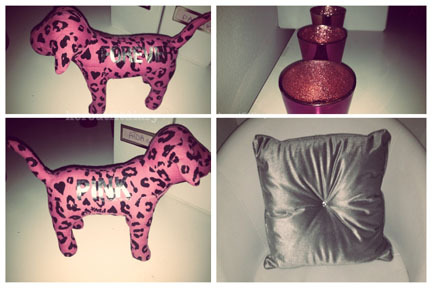 Some of which include the silver cushion with the bling-y button for my Chair, the Sparkly Silver Blanket on my bed and the faux Sheep Fur hanging on my radiator. If you want to know more information on the decoration, I'd be more than willing to tell you where I got them from and for what price, Just ask! hope this might've inspired some of you! Helllooo. So lately i've been obsessed with looking up iPhone cases as I think they can accessorize your outfit really well if you have a variety of them but in reality, I only have one. That would be 'Summer Glow' by the Elle & Blair Cellairis line(Here). I loved this case to death when I received my order by mail 3 months ago and I still do love it! But quite a lot of rhinestones have fallen off as well as the lining which is a bummer. I got a lot of compliments on the case and thought it was very me as I love pink and all things glitter. So anyway, I was looking for iPhone cases and then i stumbled upon a line of SUPERDUPER CUTE cases on Instagram and browsed the rest of them and fell in love with each of their designs. They're all studded- super cute! You can check them out on their Etsy shop here (I think it's totally worth it)! I definitely think I'm gonna buy a few cases from Margaux Bonnie! Do you have any cute cases to recommend? Heyyy, Greetings from Greece! Boyy am I happy to be here. I've been waiting on this moment since I left Greece last year. It sure took me long to get here though... That's what today's post will be on- my journey in photos how I got here (which could help if someone living in Germany or so wants to Travel to Greece).